Program structures are the underlying organizational, management, policy, and philosophical components of a school. 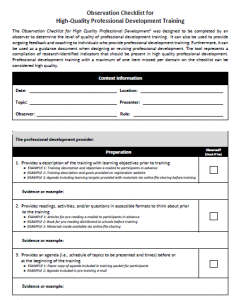 The Observation Checklist for High Quality Professional Development (PDF, 5 pages) helps you determine whether professional development follows adult learning principles. 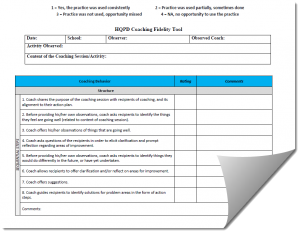 It can also be used to provide ongoing feedback and coaching. 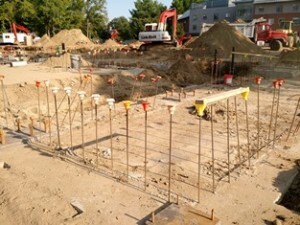 More on the tool from the Center for Research on Learning at the University of Kansas. Use the Toolkit for Driving Change to help develop your own skills and understanding in a focused way, or help you get started on driving school-wide changes. Growth and change take time and planning to do effectively. 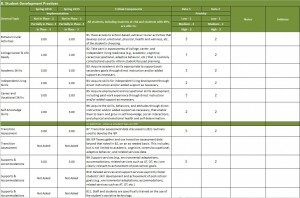 The Transition-Focused Education Framework (TFEF) Fidelity Tool is the assessment tool we use with cohort schools to help them determine their relative transition strengths, weaknesses, and priorities. 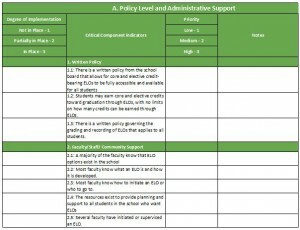 The ELO Fidelity Tool is a assessment tool for tracking school progress in implementing ELOs, housed on the BeyondClassroom website. 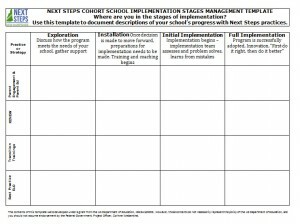 Download our Implementation Stages Management Template (MSWord) to document your school’s progress with Next Steps practices. 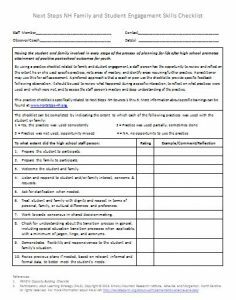 Collect data to track the success of your ELO program implementation with a survey for students. Survey available in Word or PDF format. Collect data to track the success of your ELO program implementation with a survey for teachers. 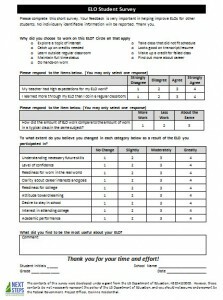 Survey available in Word or PDF format.